I shifted my position on the prison bunk. Surrounded by the barren walls and unyielding bars of the county jail, my mind drifted back, tracing the events which brought me to this place. Born in a religious home, I had childhood dreams of someday building a church or becoming a “minister of the Word”. But one major problem existed. It appeared early in my childhood, a blatantly rebellious streak which always defied authority. As a teenager, the rebellion increased. Because my rebellious attitude had difficulty co-existing with dreams of serving God, gradually I moved away from religion towards things which promised to fulfill my need for recognition in life. Basketball became my first idol. Those days of being a 6’1” basketball star were so long ago. I had dreams of becoming a professional player until our family moved to California, where I was the short one among the 6’10” players. My basketball idol fallen, I set out to find another way to fulfillment. Often my father proclaimed, “The way to success is to get an education. With an education, you’ve got the world by the tail.” So I returned to New York State to finish High School there and enroll in College. When a lovely dark-haired girl came into my life, my idols became confused. Having the “world by the tail” meant nothing unless Sharon shared my accomplishment. Certainly a good education plus Sharon would bring total fulfillment for my life. We were married. The rebellion which characterized my teenage years seemed to be in remission. Our church wedding, so religious in all the right ways, brought a sense of God-approval. But a few hours into our honeymoon, the war began. My sweet Sharon had a wicked right hand, which she used skillfully when my rebellious nature triggered her anger. Another idol began to crumble, and a renewed search for self-satisfaction began. How far away and long ago those angry days seemed. Sliding down on my prison bunk, I tried to find a more comfortable position for reliving my “past”. 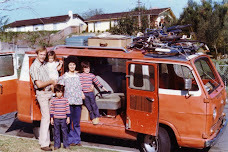 Memories of our frequent visits with Uncle Tom and Aunt Jan brought a smile. The visits had one drawback—my Aunt Jan was a religious “kook”. She talked about Jesus like she knew Him personally and expected us to know Him, too. Sharon and I made it clear that we were satisfied with our own religion. Then a visit to California led to the discovery of a new idol, one which promised an effective escape from all my problems. Soon my entire life centered on drugs. My new lifestyle drove a final wedge in our marriage. Back in New York, I lived the “Hippy” life and Sharon moved to another apartment where she lived alone, pregnant for our first son and very desperate. After Ricky’s birth, Sharon gave Aunt Jan a call. They talked about Sharon’s separation from God because of her sins and her need to know His peace. Soon my wife prayed to receive Jesus as her Savior. Sharon’s new relationship to Jesus Christ would give her strength in the difficult times that followed. Sharon and other Christians began praying. From their point of view, wonderful things began to happen, beginning with my arrest for the use and sale of drugs. God did His part, but with the threat of prison removed, I reneged on my part of the bargain. While working in a steel shop, I discovered my boss knew Jesus in a personal way. One day he talked with some of us at lunch break. For the first time, I heard a “man’s man” speaking about Jesus Christ! Just remembering made that moment fresh, even in my stale cell. I had assumed “knowing Jesus” was just for old people ready to die, escapists from reality and religious people. I accepted an invitation to a movie at my boss’s church. There the preacher talked about personal salvation. “Have you realized you are a sinner and need a Savior? Have you accepted Jesus Christ’s death as payment for your sins? Do you know you are a Christian?” He thundered. His questions challenged me, scared me, and stirred something in me I couldn’t explain. When he invited people forward who wanted to make “sure”, I went. Praying, I confessed my rebellion and sin, asking Jesus Christ to be my Lord and Savior. Jesus says, “I am the Way, the Truth, and the Life. No man comes to the Father except through Me” (John 14:6 NKJV). Although I didn’t understand all that had happened to me, I did know that now I had more than just a religion; I had a personal relationship with God through His Son, Jesus. In our continuing hunger to know more about God, Sharon and I spent time with some “Jesus People” studying, praying, fellowshipping. They were a special group of brothers and sisters and we began to grow together in our faith. I still felt much the same way. Anybody who thought a “druggy” and convict would ever be a preacher had to be crazy. My mind traveled back to the final episode which brought me to this county jail cell, awaiting a trial that promised many years in Attica State Penitentiary. The apartment had seemed empty as I called Sharon’s name. Suddenly, in bust a group of policemen, and once more I was under arrest, this time for a drug sale made a year ago back in New York State. Although I had received the Lord and my lifestyle had changed drastically, there remained an old debt to be paid. They released me on bail until a trial date could be set. Waiting became a trying time. Good resulted as I made a decision regarding my walk with God. Choosing to live totally for the Lord, I gave up trying to dabble in two conflicting lifestyles. It was also an awful time as we lived through an uncertain year, believing that I faced a long imprisonment. Now the time of the trial had arrived. Here in New York, in this small jail, I awaited my turn before the judge. His question surprised me. I hadn’t expected God to show me anything. After the pastor left, my prison cell became a place of fasting and prayer as I asked God to show me what lay ahead. One day, while praying, a strong impression, thought, word did come to me, “Probation and $1000 fine”. Scheduled to face a judge who gave severe penalties for drug offenses, I expected my sentence to be several years in the State Pen. Probation seemed unreasonable, but I took it as God’s answer and began to thank Him for His deliverance. The lawyer looked at me and laughed! When my turn came, my lawyer explained the technical details of my case, and then the judge asked if I had anything to say. The judge sat like a stone, seeming to feel the burden of pronouncing God’s will for my life. Minutes passed and suddenly he banged his gavel and announced loudly, “Five years probation, and the defendant will reimburse the court $1000.00 for expenses” Sharon and I have walked many miles since that day. God did make me a “preacher of the Word”. 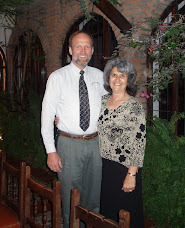 With our six children, we have served as a missionary family in Guatemala, Mexico and Ecuador since 1976. In a world where there are many “religions”, we seek to proclaim what we discovered—the reality of a personal relationship with Jesus Christ.